There are many stories involving the unexplained disappearance of people . . . in fact entire brigades of soldiers and the crew of ships at sea. The stories don't come up frequently and some of them date back so far into the past that the truth of such events are somewhat lost in the dust of time. But the stories are hauntingly told and retold. Among the famous mysteries of the sea is the story of the sailing ship Mary Celeste, found in 1872 in perfect condition, sails set, nothing out of order, and moving before the wind on the open Atlantic without a soul on board. The crew of 10 people, including Captain Benjamin Briggs, his wife and daughter, vanished without a trace never to be seen again. Another similar historical disappearance occurred at the American colony on Roanoke Island, off the coast of North Carolina, in 1590. About a hundred men, women and children living in the colony went missing and no trace of them was ever found. Some theories suggest that the people were attacked by natives. Others believe they may have moved off the island and lived among the natives. That could never be proven. 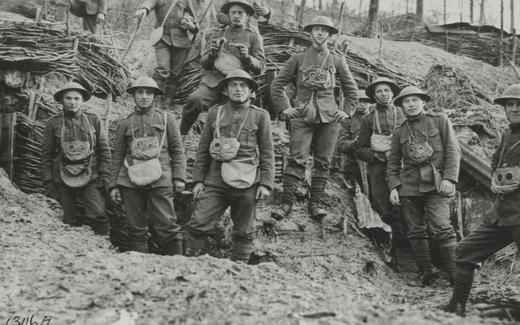 Then there was the famous case of the 250 men and 16 officers of the Fifth Territorial Battalion of the Royal Norfolk Regiment that disappeared in a cloud of smoke during World War I. The incident happened in the midst of fighting at Dardanelles, France, on Aug. 12, 1915. Witnesses said one minute the British soldiers were there, charging against the Turks, and then they were not. Their bodies were never found. There were no survivors. And none of the men turned up as prisoners of war. The theories include a UFO abduction, or that the Turks killed the entire battalion and buried it. These are among the more spectacular of the missing people anomalies recorded in history. A recent Internet story in Pravda quoted a Dr. Zong Li, of Harbin, China, who told of the strange disappearance of 3,000 Chinese solders near Nanking in December, 1937, while fighting the invading Japanese. He said the battle continued throughout the night, but by morning, radio communication was lost. A reconnaissance team could not find any trace of the soldiers. Desertion was ruled out because the area was heavily posted with other soldiers. The Pravda account also told of the odd disappearance of 100 soldiers from the Twelfth Company of the Soviet NKVD forces, who struck off for a railway station in November, 1945, and were never seen again. The story did not say where this occurred and it could not be confirmed. There are other stories of ships and aircraft that have gone missing without a trace. Among the unsolved mysteries of Lake Michigan is the story of the schooner Thomas Hume that disappeared with a crew of seven in May, 1891. The wooden-hulled vessel was carrying a load of lumber from Muskegon, Michigan, to Chicago, when it disappeared in a storm. Wooden ships carrying lumber usually didn’t sink, but capsized or got partly submerged when disaster struck. But no trace of the Hume was ever found. A search of the lake failed to find the usual trappings from a ship sinking like floating timbers, life jackets, lifeboats and bodies. The USS Cyclops, a Navy collier, was operating along the East Coast of the United States when it went missing in February, 1918. The ship disappeared without a trace with its crew of 306 sailors. The wreck is listed among the many anomalies linked to the mysterious Bermuda Triangle. And there is the odd story of the Boeing 727 that mysteriously took off, without authorization, from an airport in Angola, Africa, in May, 2003, never to be seen again. A world-wide search for the plane, amid fears that it was seized by terrorists, failed to turn up any clues. The aircraft had been parked at the airport for more than a year before it disappeared. Malaysia Airlines Flight 370 is the most recent mysterious disappearance. This plane and the 239 passengers and crew members in it went strangely missing during a flight from Kuala Lumpur, Malaysia to Beijing, China on March 8, 2014. The last radio contact was made about an hour after takeoff when the plane was over the South China Sea. After that the plane went missing from radar screens and there was no more radio communication. Authorities are still searching for this aircraft in what may be one of the biggest and most costly manhunts in recorded history. There are probably logical explanations for all of the odd stories posted here. But then, perhaps the events completely defy logic. I knew an old salt who was stationed aboard the Cyclops and was called ashore only minutes before it sailed on its final voyage. He said the Navy discovered that he had another talent as a pilot on the Great Lakes, and he was put to work there. To him, the disappearance of the Cyclops was a personal tragedy. He was as mystified as everybody else as to what happened.